I was debating if I should rate it 4 or 3 stars. The story line is great and the reading is very fast and easy to follow. I can’t judge the writing as it was translated from French, but the translation seems to be very good, but I’m sure that something went missing because I felt totally detached. I read some reviews and mostly considered this one to be very violent (graphic) but I was not disturbed about it (especially if you have read “The Alienist”, “The Orenda”, “Mr. Murder”, “The Name of The Rose”, “Hideway” or Pierre Lemaitre’s trilogy, just to name a few). Anyways, the story is engaging and I didn’t want to stop reading, but I did find that it did drag for too long. I will definitely check for his other books. 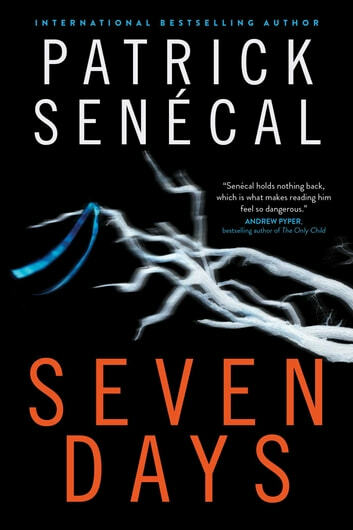 Patrick Senécal is a bestselling French-Canadian author whose novel Seven Days, first published in the early 2000s, has been translated to English by Howard Scott and Phyllis Aronoff for publication Jan. 1/19. His writing style has been compared to Stephen King's. The book deals with a tragedy that happens to Dr. Bruno Hamel and his partner Sylvie: their young daughter Jasmine is brutally murdered. Dr. Hamel's overwhelming grief takes over and leads him to kidnapping the man responsible in order to avenge Jasmine's murder. The chase is now on with the police lead by Detective Mercure. The plot is difficult for the reader who must decide which man is the real criminal. It is a tense and often gory read but it is one heck of a ride. 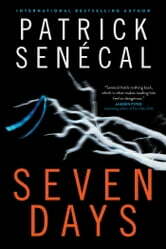 It is hoped that more of Patrick Senécal's novels will be translated. He is an author to be discovered by an English audience. Highly recommended. Thank you to Simon & Schuster and NetGalley for the e-ARC in exchange for an honest review. COULD NOT PUT THIS ONE DOWN! Enraptured with every page. A combination of Stephen King and Arthur Conan Doyle. Can't wait for the next one. Brilliantly evokes the dark side none of us want to admit exists. I really enjoyed this book and finished in a couple of days. Great character development and satisfying ending.